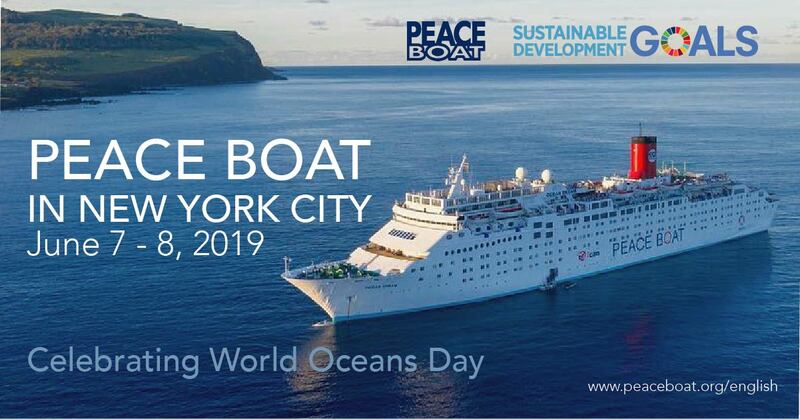 The oceans and sustainability are key issues for Peace Boat, and so we are excited to announce that Peace Boat's ship, the Ocean Dream, will be visiting New York City on World Oceans Day 2019 (June 7-8), as part of our 101st Global Voyage! 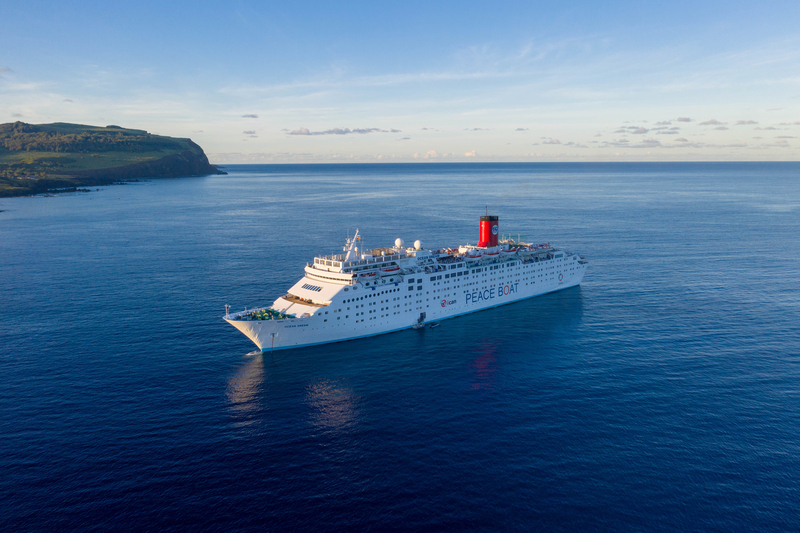 Peace Boat will hold a range of events onboard the ship together with partners from the United Nations and civil society working to protect our oceans. This will include the World Oceans Day reception on the evening of June 7 and a special youth-focused day of activities on June 8. This day will provide a venue for civil society to come together to highlight local initiatives on the SDGs, including but not limited to Goals 5, 13 and 14, and mobilize youth for an interactive dialogue on why the ocean matters and how to make a difference for our oceans. Each part of the programme will highlight and encourage youth engagement in raising awareness of the benefits derived from the ocean and our individual and collective duty to interact with oceans with the overarching theme of “Gender and Oceans." It will include presentations, film screenings, educational and cultural workshops, exhibitions and more. These events will also be the climax of the third Ocean and Climate Youth Ambassadors Programme, taking place between May 24 and June 8, 2019. Young leaders from the Pacific Ocean, Indian Ocean, and the Caribbean who are active on issues related to climate change and ocean degradation will travel from Malta to New York, with stops and activities in Spain, Morocco, and Portugal along the way. Watch this space for more updates and we look forward to celebrating World Oceans Day with friends and partners all around the world!